There’s only one problem with the shareholder value model. It was September 13th, 1970. 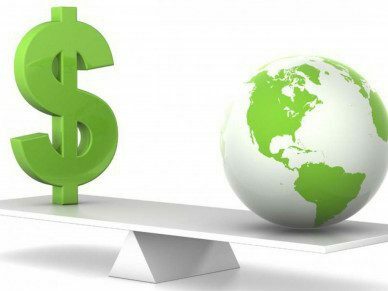 On this very morning, a headline in The New York Times Magazine screamed, “The Social Responsibility of Business is to Increase Its Profits”. The author? None other than Milton Friedman. Corporate America would never be the same. For the past four decades, the dogma of shareholder value maximization (SVM) has propelled capitalism. Business leaders and policymakers have, by and large, held the steadfast belief that the objective of a corporation is to maximize shareholder wealth. Further, that shareholder wealth is best measured by a company’s current stock price. An unyielding hunt for short-term profits. Destructive investment in highly risky derivatives. 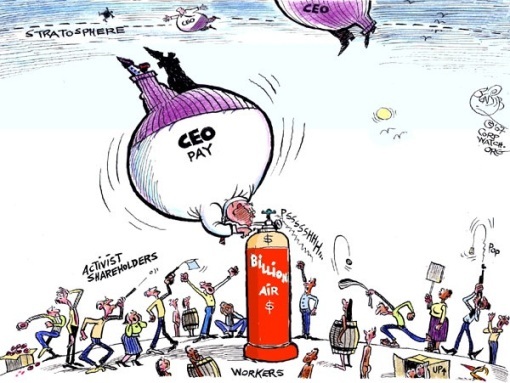 Inflation of CEO salaries and bonuses. Stock option incentives. Cutting back on “whatever it takes” (customer service, health & safety of employees, etc.) to maximize short-term gain. Inconsistent, and often unjust, hiring and firing of employees. Lobbying the law to enable aforementioned risky investment. The draining of cash reserves to repurchase shares and payout large dividends. An utter ignorance of the surrounding society. Shortly after Friedman’s publication in The New York Times Magazine, Friedman’s colleague at the University of Chicago, Eugene Fama, asserted that all relevant and accurate information is reflected in a company’s stock price. Sound familiar? You might recognize this credo as the Efficient Markets Hypothesis (EMH). Coupled with principal-agency theory, which stated management interests be aligned with shareholder interests, CEO’s began to enjoy rapidly growing salaries and receipt of stock options. A steadfast focus on augmenting this so-called accurate and relevant share price was increasingly executed as CEO compensation rose in tandem. The premise behind SVM theory rests on inaccurate claims regarding the structure of corporations, simply put, that shareholders “own” said corporations. Yet, SVM encompasses a near-sighted view on the short-term. The theory itself lacks empirical evidence – moreover, there is no valid proof that companies pursuing SVM actually outperform over the long-term. Whether driven by greed, thought-leaders of the time, or an innocent belief that SVM would equate to success, corporate America has operated as a profit-maximizing fiend over the past four decades. Yet, slowly but surely, companies are beginning to realize that in order to truly sustain long-term, they must maximize profits in a manner that sufficiently meets the needs of the stakeholders that allow it to exist. Stakeholders may not be doomed after all. Thought provoking post! Is it true that more large corporations are getting away from short-termism? I haven’t seen data to that effect. Is there such data out there?